“A novelized yarn describing the adventures of an Irish/American teenager who ran away to sea in the mid-1950s. The author David Paul Collins was, indeed, shanghaied from the American port of Mobile, Alabama. It is later revealed that he was sold aboard ship by a gang for $100. He was lucky. He landed on a ship crewed by a great bunch of West Indian and Filipino sailors. They looked after him, protected him from the first mate and educated him in a way that no school ever could. His few months aboard taught him invaluable lessons about the world, about people, about racism and, even, about the sea and ships. It prepared him well for his formal education and, later, for the real world. 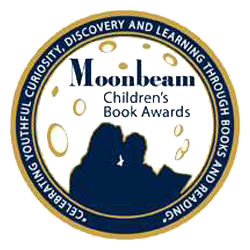 in Moonbeam Children’s Book Awards. The Greater Los Angeles Writers Society is proud to present a talented slate of authors at the Annual West Hollywood Book Fair at West Hollywood Park from IOam to 6pm at the GLAWS Booths. This event is so popular, GLAWS takes an entire tent! 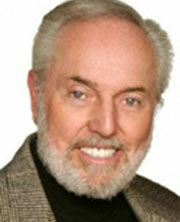 Award-winning author David Paul Collins will appear and his book Shanghaied will be available for purchase. Mr. Collins will sign his book for attendees. Almost 30 author/members are scheduled to appear. David Paul Collins, author of the award-winning book Shanghaied, is one of the Ten at the Top speakers at the upcoming Big Orange Book Festival on the Chapman University campus, Friday and Saturday, Sept. 21 – 22. 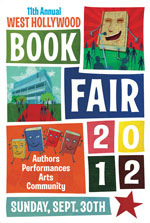 Collins will have a booth Friday 1:00 p.m. to 6:00 p.m. and Saturday 9:00 a.m. to 6:00 p.m. He will be speaking at 11:00 a.m. on Saturday in the Fish Interfaith Center and again at 2:00 p.m. in Beckman Hall. Click here for complete speaker schedule. Click here to see map of Chapman University venues. There is also free parking in the underground parking structure below the football field. Looking back at the IPPY awards from previous years, the growth of the independent publishing community is evident. For the 5th annual IPPY Awards in 2001, there were 770 publishers who participated in only 49 categories. This year, 2,400 independent authors and publishers entered the awards. With 72 national categories, 22 regional categories, and the chance to be an Outstanding Book of the Year, the IPPY awards continue to capture the diversity of the creative work of independent authors and publishers. This year marked the first time that e-Books were acknowledged in the IPPY Awards with five diverse categories that recognized fiction, non-fiction, juvenile fiction, and children’s illustrated eBooks. Since the 2003 IPPYs, the number of winners using e-Books has been on the rise. Author David Collins, who won the silver medal in Best Juvenile Fiction e-Book for Shanghaied, explained, “E-Books boost sales in ways that paper cannot. Writers want to be published by mainstream houses and readership numbers help a great deal. Winning in the e-Book category could not be better.” With the new categories recognizing eBooks, the IPPY Awards have been able to adapt so the awards reflect the ever-changing environment of the independent publishing community. Shanghaied by David Collins has been selected as a Finalist in the 2012 Readers Favorite Annual Award Contest for Young Adult General Fiction.